As you may have noticed from the new logo and the domain name, Aquafix is rebranding our lake and pond technologies division. We are excited to announce as of November 1, 2017, this division will now be known as Naturalake Biosciences. In 2000, Aquafix was founded as a research laboratory that focused on developing biotechnologies for the wastewater industry. Many of our original technologies for lakes and ponds were developed from concepts in wastewater treatment. Through the years, we have expanded our research and capabilities with the help of the aquatic industry’s best companies and professionals, outstanding engineers, world renowned phycologists, and university researchers. As a result, our technologies have become more focused and effective than ever. 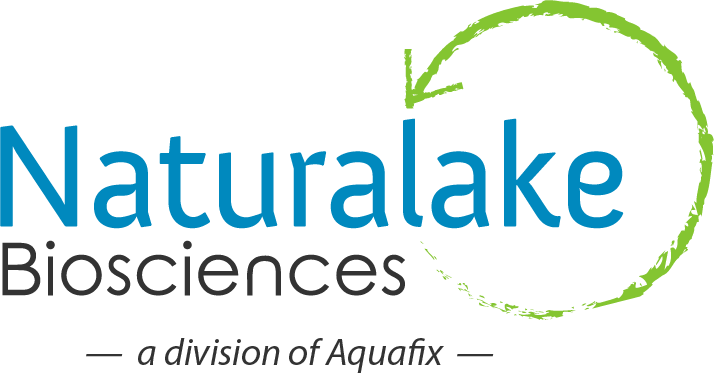 The rebranding of our lake and pond technologies division to Naturalake Biosciences will help us continue to concentrate and expand our efforts on research and innovation in the aquatics industry. Naturalake Biosciences will still have the same great people and the same great service. We plan on working with all our partners to ensure the changeover is quick and easy on both ends. We appreciate your patience and please let us know if there is anything in the process we can do help. Thank you for your continued support through this transition. We look forward to working with everyone as Naturalake Biosciences in the future.